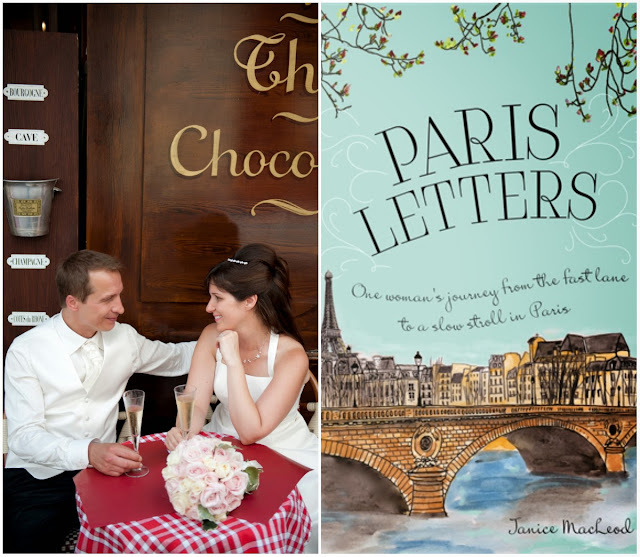 So, the other day I posted about Seven Letters from Paris being an October Monthly Kindle Deal on Amazon. I'm also happy to report that my friend and pub-sister's memoir, Paris Letters, is also a deal cheaper than a spice pumpkin latte at $1.99. You must be wondering- why on earth are you promoting a book on your page/site with almost the same title? Aren't you competitors? I met Janice in 2014 when I asked her to endorse Seven Letters. Shortly after this, we found out she worked for my dad in advertising. Yep. We became fast friends. We are supporters. We endorse one another. We read for one another. We celebrate victories...and we are there for one another when the going gets tough. Although we haven't met in person yet, I feel like I know her. Like know her know her. And her book– about restarting her life– is wonderful. I highly suggest you buy it. Here's what Paris Letters is about. Exhausted and on the verge of burnout, Janice poses this question to herself as she doodles on a notepad at her desk. Surprisingly, the answer isn't as daunting as she expected. With a little math and a lot of determination, Janice cuts back, saves up, and buys herself two years of freedom in Europe. A few days into her stop in Paris, Janice meets Christophe, the cute butcher down the street-who doesn't speak English. Through a combination of sign language and franglais, they embark on a whirlwind Paris romance. She soon realizes that she can never return to the world of twelve-hour workdays and greasy corporate lingo. But her dwindling savings force her to find a way to fund her dreams again. So Janice turns to her three loves-words, art, and Christophe-to figure out a way to make her happily-ever-after in Paris last forever. As always, shares of this post are greatly appreciated! Big time! Sharing is caring! I'll cook you dinner if you're ever in the Toulouse area! (Yes, I'm bribing you!) Comments are disabled on the blog, but please feel free to join me on my Facebook page.